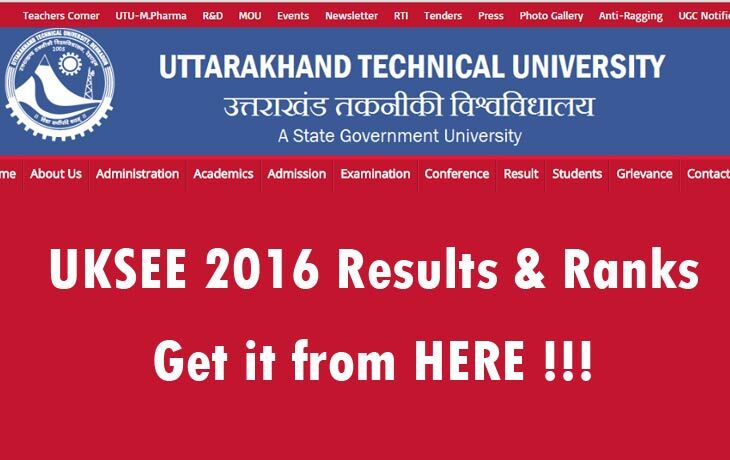 UKTECH UKSEE 2016 Results Declared For B.Pharm, BHMCT, MCA, BTech: The UKSEE (Uttarakhand State Entrance Examination) 2016 results were announced on their official website. The students who are all appeared for the exam of the first year and lateral second year admission to the B.Pharm, BHMCT, MCA, BTech on the date of June 5th, 2016. Now, the concerned board declared the UKSEE 2016 results online. The Candidates who are all appeared in that exam can now access the website to get your results. 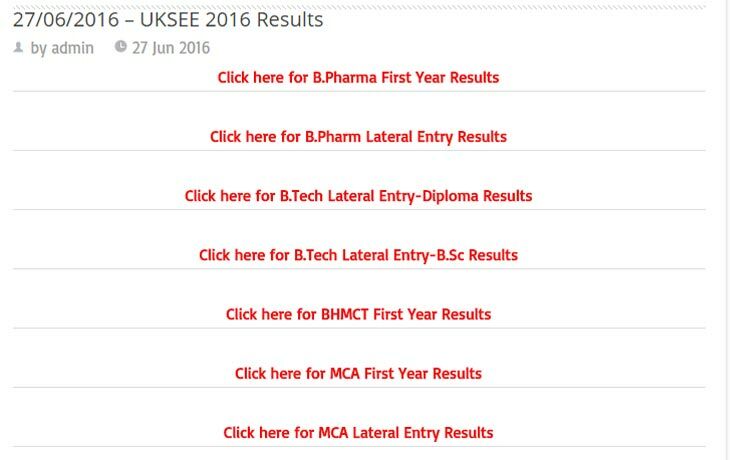 Scroll down and check the steps of instruction that how to check the UKSEE 2016 results and also get the direct link to the Result page. The UKTECH (Uttarakhand Technical University) was offering various courses on the UG, PG, and doctoral programs in past few years. The University was established on 27th January 2005 by Govt. of Uttarakhand through the Uttarakhand Technical University Act 2005. This University has 133 affiliated colleges with the 33,000 students. In each and every year, the University has notified the Entrance Exam details on their website and also announced as news. So, this year also, the University has released their notification regarding about the Entrance Exam for 2016-17. The students/candidates who are all seeking for the courses in the Uttarakhand Technical University have applied for the entrance exam of 2016. The Uttarakhand University has conducted the entrance exam and completed successfully on the date of June 5th, 2016. Now, the result of that entrance exam also released. The candidates who are all cleared in this entrance exam will be called for the counseling based on the rank. The Counseling date will be announced by the university shortly.It might be in the third week of July 2016. Open the official website OR Click the link that we provide above. Check your Result and save it for your future use.